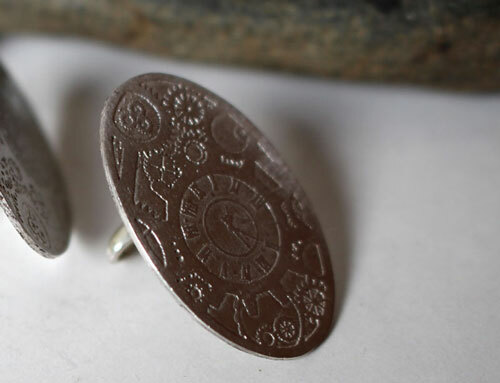 These cufflinks will be the ideal accessory for your steampunk costume. They are handcut in an oval shape. 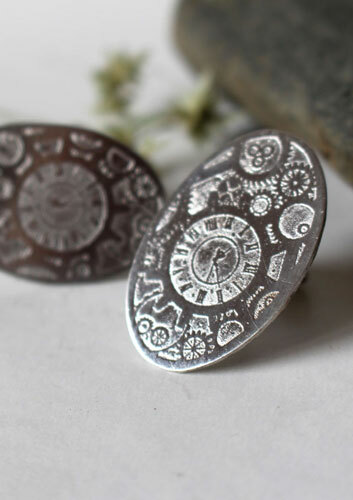 They also were engraved with a gear pattern reminding of the steampunk trend. 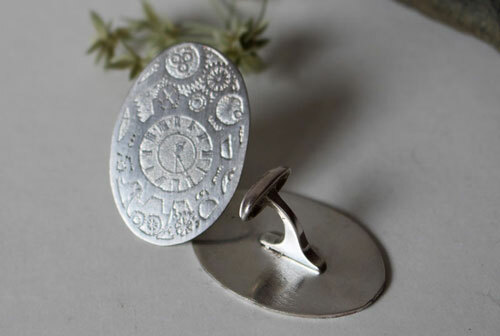 If you like the neo futurist atmosphere, these cufflinks were made for you. 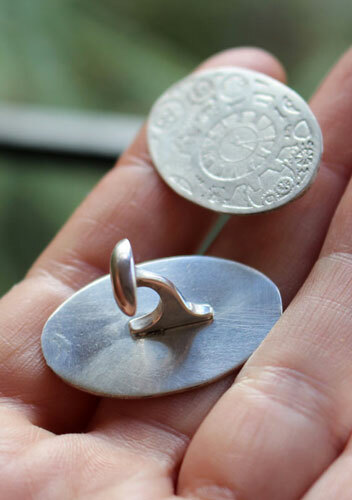 I will need 3 days to make these cufflinks. 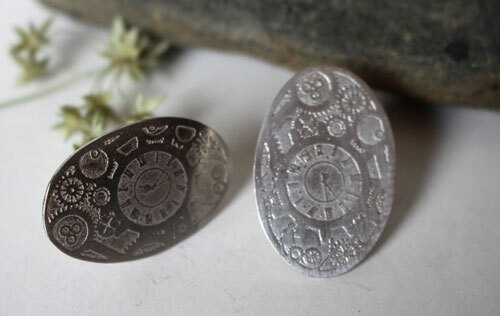 Tag: cufflinks, steampunk, gears, clock, needle, mechanical, retro-futuristic, sci-fi, fantasy, wedding, engagement, christening, birthday, man accessory, costume, wedding accessory, cosplay, role-play, style, dandy, sterling silver, Jules Vernes, 19th century.